Work on the Metro’s elevated corridors has already started, but work on the underground stretch was stuck since the project began two years ago. 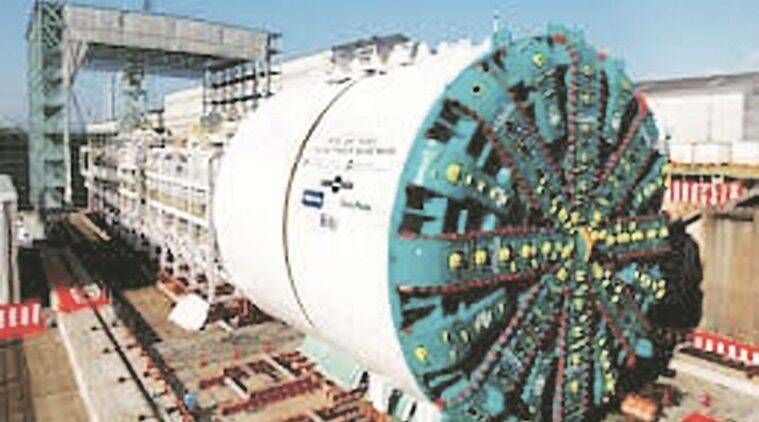 The much-delayed underground work on Corridor One of the Pune Metro project, from Pimpri to Swargate, is all set to take off from next week. The Metro will run underground for a five kilometre stretch, from the Agriculture College grounds to Swargate. “The tender has been finalised. A private contractor will conduct the tunnel boring work on Corridor One, from Agriculture College grounds to Kasba Peth,” MahaMetro Executive Director Ramnath Subramaniam told Pune Newsline. Work on the Metro’s elevated corridors has already started, but work on the underground stretch was stuck since the project began two years ago. More than 30 per cent work on both the corridors, Pimpri to Swargate and Vanaz to Ramwadi, has been completed so far, said officials. Subramaniam said the underground work has been divided into two parts, from Agriculture College grounds to Kasba Peth and from Swargate to Kasba Peth. “The tunnel boring work for the second phase will start from Swargate and will reach Kasba Peth. A separate contractor will be finalised for it within the next one month,” he said. Metro officials said work on the underground stretch will have a completion deadline of 40 months. There will be five stations in the underground section, at Mandal, Kasba Peth, Swargate, Shivajinagar and Civil Court. Funds will not be a hurdle for starting the underground project, the first part of which will cost Rs 1,150 crore, said Metro officials. The MahaMetro is expecting over Rs 500 crore this financial year from the state government and the central government. “This year, so far, we have received Rs 300 crore and are awaiting around Rs 550 crore. It includes Rs 340 crore from state government and Rs 200 crore from the central government. The total cost of the Metro project is Rs 11,420 crore. The World Bank and the Asian Infrastructure Investment Bank have approved a loan of Rs 6,325 crore for the project,” said officials. “All other civil works are underway. About 2,500 workers and engineers are working on the two corridors,” they added.